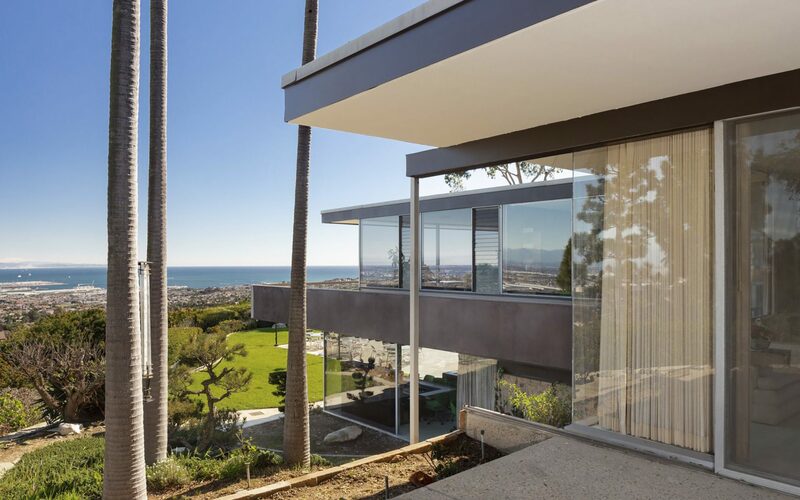 The Rados residence in Rancho Palos Verdes, California. 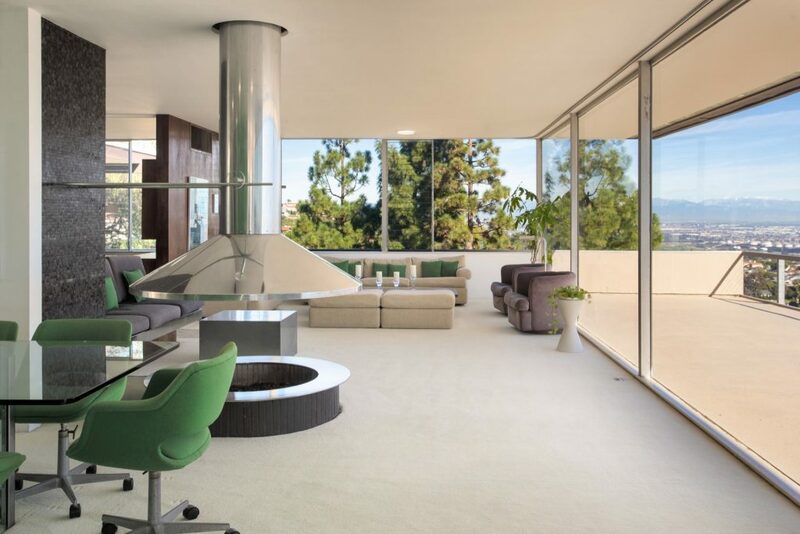 One of the largest homes designed by revered modernist architect Richard Neutra has hit the market for $4.1 million. 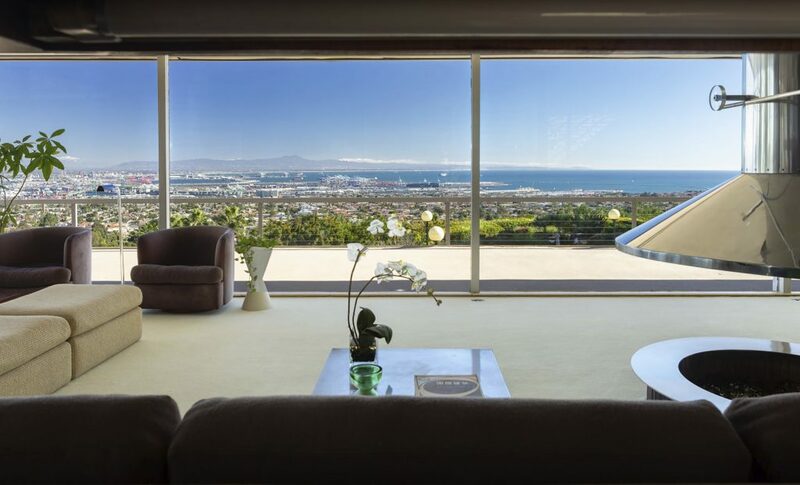 Located in Rancho Palos Verdes, just south of Los Angeles, the 5,200-square-foot residence occupies a prime hillside plot that boasts sweeping views of the Los Angeles basin and Santa Catalina Island. 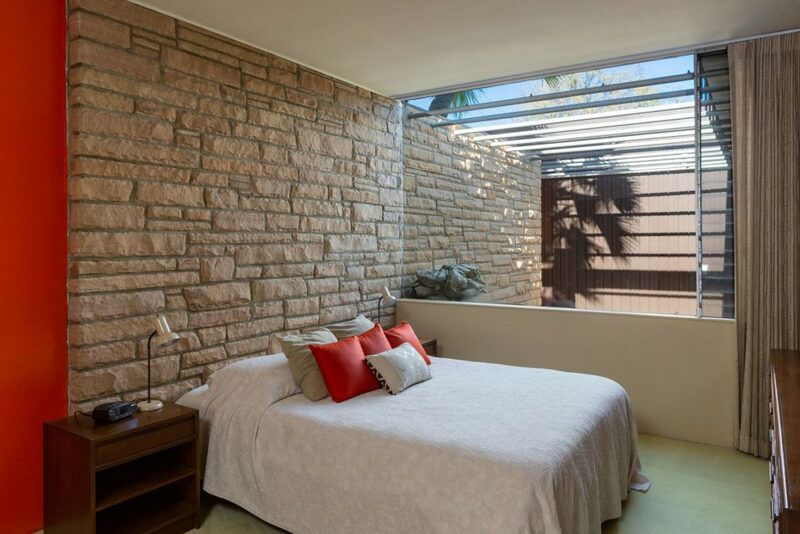 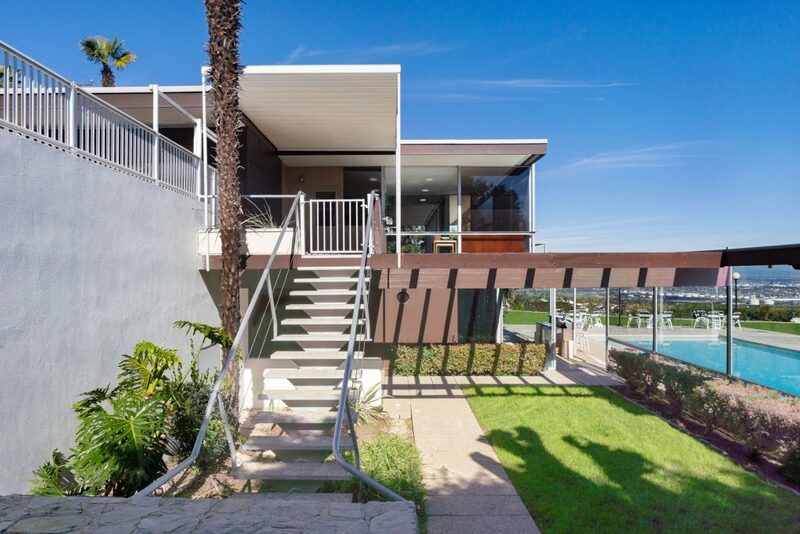 Completed in 1957 for prominent shipwright John Rados, the three-bedroom house features Neutra’s signature floor-to-ceiling windows and flexible living spaces along with a few nods to Rados’s seafaring connections. 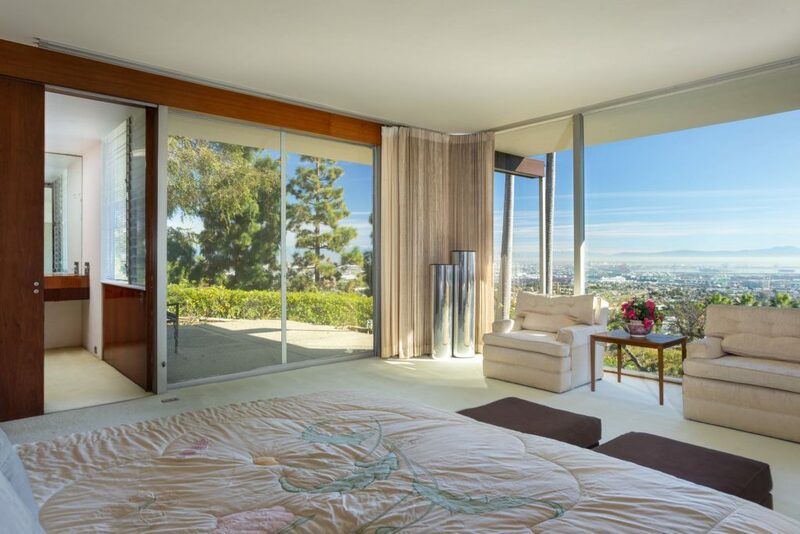 Porthole windows from Rados’s company, for instance, were integrated into the design, as were marine-grade mahogany beams that provide the otherwise streamlined interiors with a touch of warmth. 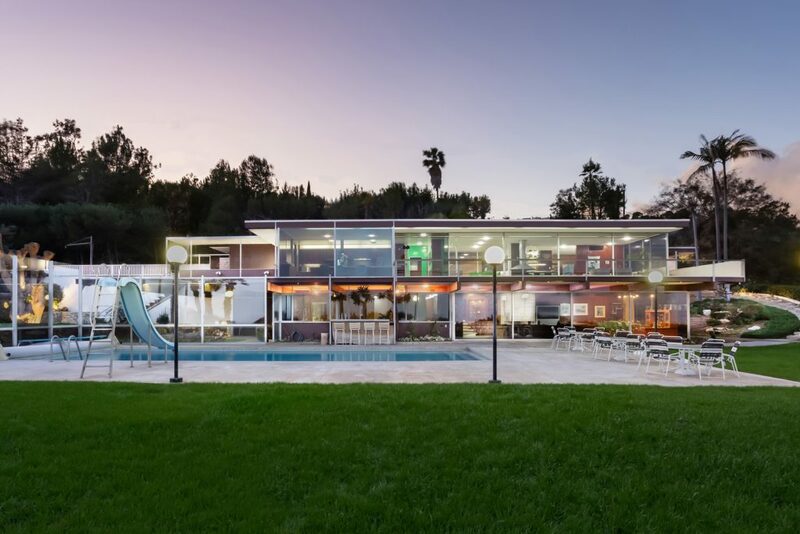 Sliding glass doors lead to the 1.3-acre property’s pool deck (equipped with slide), which also includes a bar and lounge area. 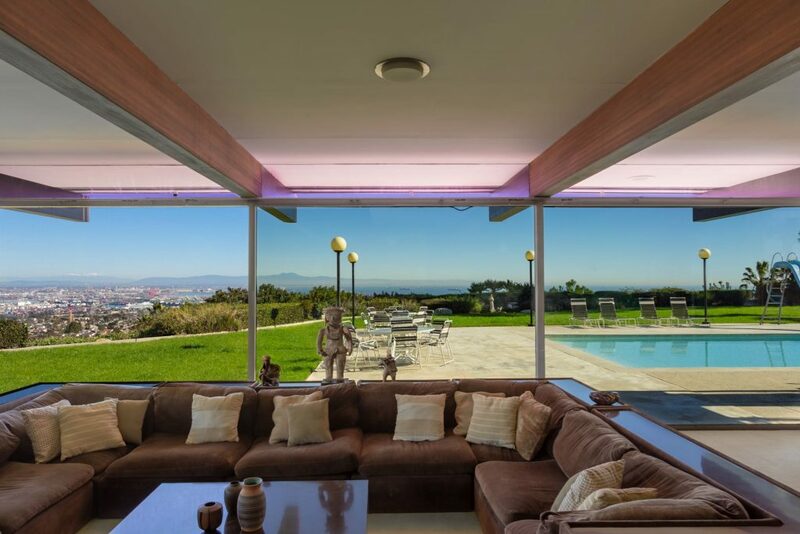 The home is listed with Deasy Penner Podley.